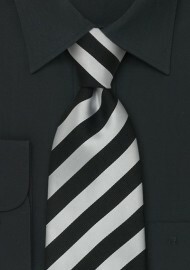 A truly stunning necktie in a timeless striping pattern. 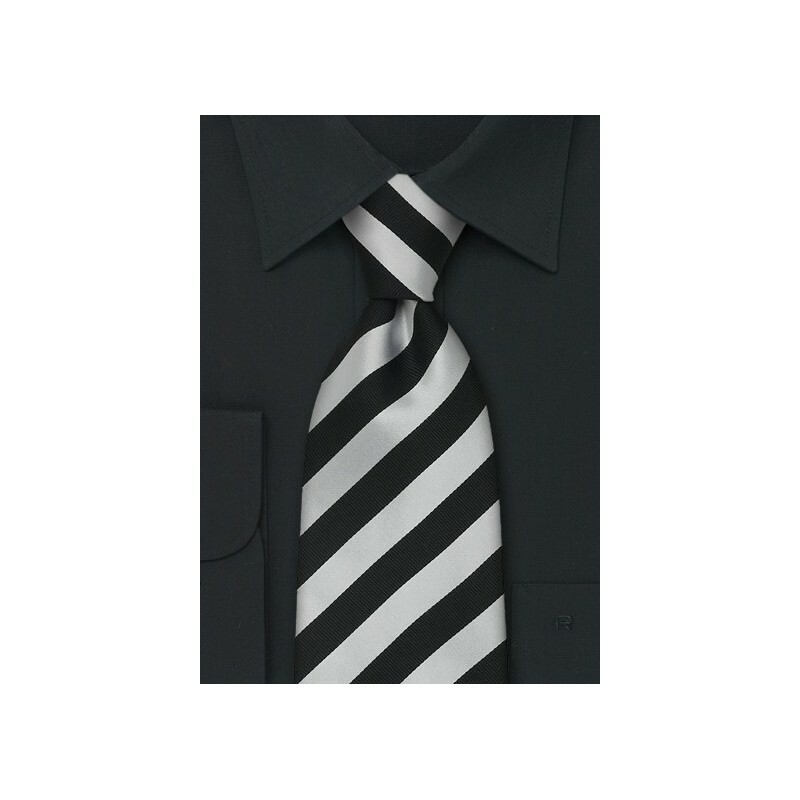 A fine ripped pattern on in the black stripes give this tie a classy business-tie look. A great tie for any well dressed man that wears extra long ties. This tie is part of Parsley’s “Identity” Collection. The “Identity” series is a classic business tie with diagonal stripes in two stunning, and easy to match colors. The fine silk fabric used to make this tie gives this necktie an excellent shine. The intricate ripped pattern in one of the stripe colors add a stylish, elegant character. This is made in extra long length, and it is well suited for men taller than 6’3”.